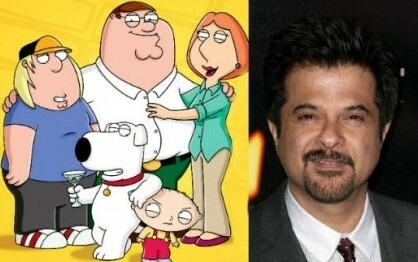 Mumbai, April 21 (IANS) After featuring in international movies “Slumdog Millionaire” and “Mission: Impossible – Ghost Protocol” and American TV series “24”, Indian actor Anil Kapoor will be off to Los Angeles to dub for a character in adult animation show “Family Guy” as a guest star. While Anil is reluctant to reveal details of what character he would be dubbing for, he admits that doing a voice for “Family Guy” is something that has given him an elevated status in his own family. “My children are crazy about the show. They can’t believe I am doing a voice in ‘Family Guy’,” he said. “My character will appear with the show’s famous Griffin family. It is a new experience for me. And you know how much I like going into new experiences,” he added.